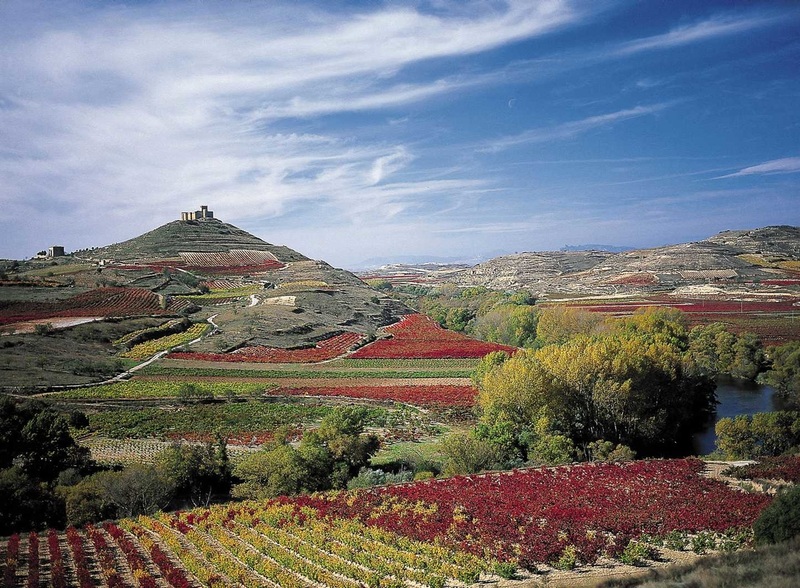 Its audacious vineyards make Spain the widest planted wine-producing nation in the world. A Roman era infrastructure blended with the vivid colour of renowned artists and a splash of hot-red dance truly makes Spain one of a kind. This country holds everlasting traditions, such as bullfighting, and brings forward a little slice of history. Tomato Festivals annually celebrate the colourfulness of life, and their unmistakable Mediterranean beaches can fell like Paradise. 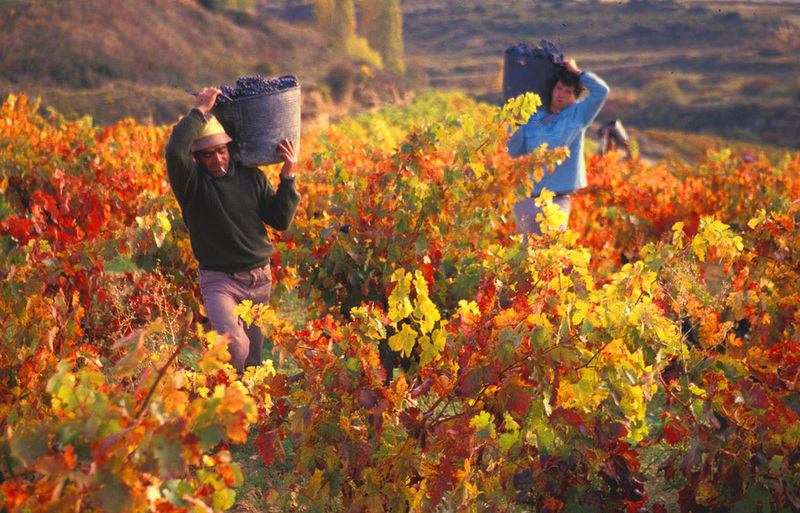 But another great tradition that has been ongoing for decades is Spain’s winemaking. Spain has over 2.9 million acres of vineyards planted, which makes it the most widely planted wine producing nation in the world. However, Spain also has quite a large diversity of native grapes, with over 400 varieties planted throughout the country. 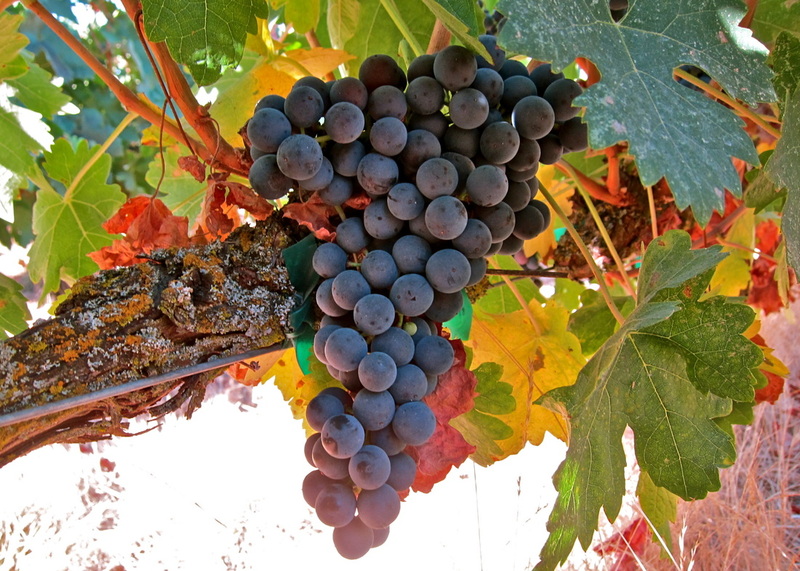 Some include Tempranillo, Garnacha, Palomino, Airen and Cava. Some of the most popular Spanish wines are transported internationally; delivering an authentic and excellent flavour inside each wine bottle. 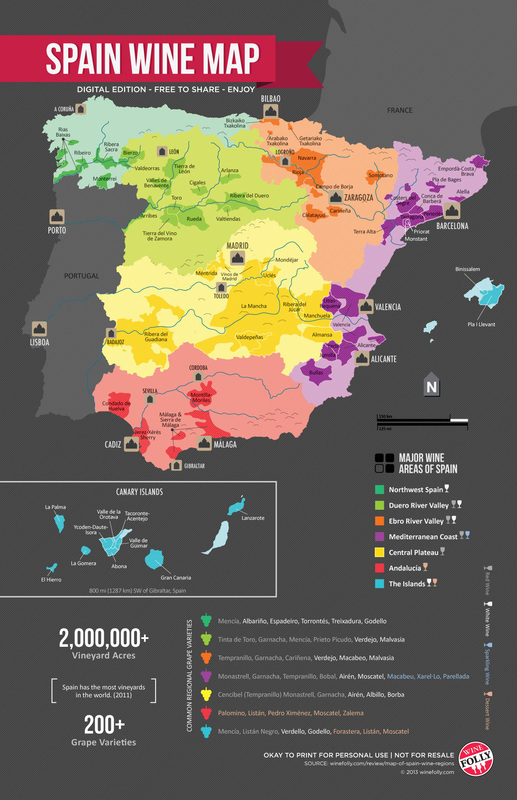 Considering the Spanish vineyards, the most well-known regions include the Rioja and Ribera de Duero. These two are mostly known for their Tempranillo production, where you can find high quality wine at a low price. Galicia is another region that is known for its white wines as they're made from the Albariño and Catalonia grape. Each region concerns a different grape therefore a different wine with its own unique taste. Whether it may be a classic red wine, a tingling sparkling one or a splendid still white wine, Spain’s passion has been driving and creating each type for years. Some parts of the country have developed to a more modern way of fermentation and production, whereas others continue in the traditions of their forefathers. Either way, they are in complete harmony and fight together to try and create the world’s best wine. Many vineyards in Spain are several decades old. In addition, due to the dry weather in many parts of Spain, the threats of common viticulture hazards are reduced. However, in these areas, the threat of droughts has vineyard owners planting their vines in widely spaced rows in order to decrease the competition for resources between the vines. A guide to buying the perfect bottle of Spanish wine is available, where you can read about the best wines and decide which one fits your palette. The large vineyards in the countryside of Spain spread across fields and valleys with their multicoloured stripes. 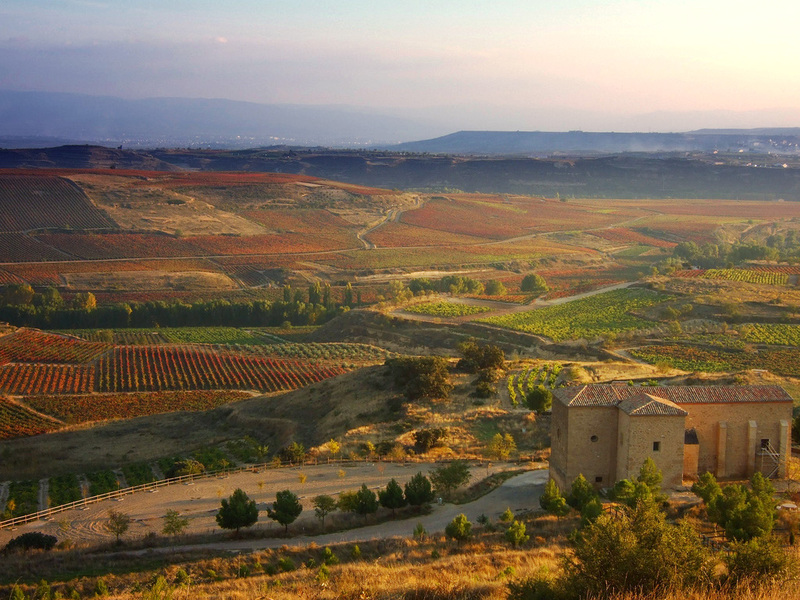 Its agricultural beauty then gently transcends into a fruity and floral taste to create the unmistakable Spanish wine. Spain has over 400 vineyards planted across the country. Grapes are the third biggest crop in Spain after cereals and olives. 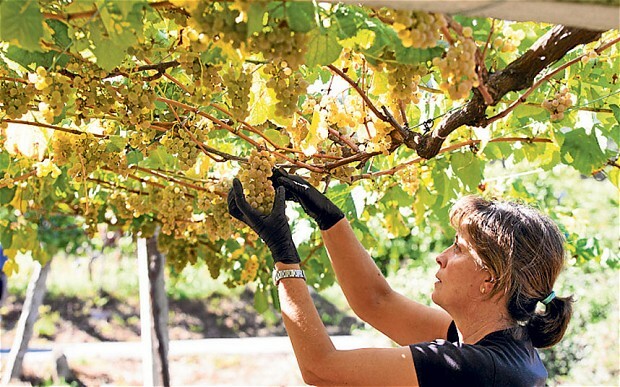 Despite most of Spain's wine being red, 61.5% of Spain's vineyards are white. This is because Spain also makes a lot of brandy and sherry. The biggest surface area of vineyards in Spain is in Castilla-La Mancha. One third of Spanish wine is exported, and this figure is increasing. 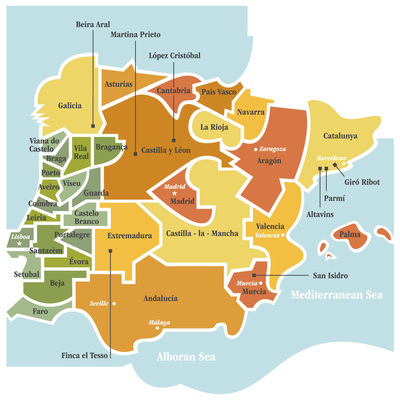 To the left you can find a map of Spain and its wine-producing regions. Young Tempranillo, Aged Tempranillo, Young Garnacha, Fine, Tarnacha, Monastrell, Mencía and Bobal.